Business Bankruptcy Overview | Denver Bankruptcy Lawyer - Jon B. Clarke, P.C. A Denver bankruptcy attorney at the Law Office of Jon B. Clarke can help you weigh your options for business bankruptcy and work through the bankruptcy process. The primary purpose of bankruptcy is to deal with debts that cannot be paid in full without some sort of court-monitored plan. The debtor may wish to close its business and liquidate its assets to pay its debts or the debtor may wish to reorganize its debt and enter into a repayment plan while continuing to operate its business. In most cases, a business debtor will voluntarily initiate bankruptcy proceedings by filing a petition. In rare cases, a creditor will initiate a bankruptcy proceeding so as to secure some form of payment or a plan that has judicial approval. This is referred to as involuntary bankruptcy. Generally, federal law (Title 11 of the United States Code and the Federal Rules of Bankruptcy Procedure) governs bankruptcy proceedings, which are filed in United States Bankruptcy Courts. If your business is facing financial difficulty and you are considering filing for bankruptcy, talk to a lawyer. A bankruptcy attorney can evaluate your situation and guide you through the bankruptcy process. There are several bankruptcy options available to a business. The following is a brief overview of the different types of bankruptcy. 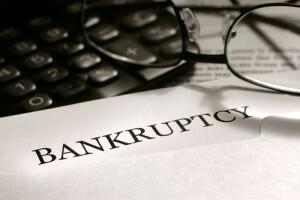 The most common type of bankruptcy proceeding is Chapter 7. A Chapter 7 filing involves liquidating (selling) the debtor’s non-exempt property and using the proceeds to pay creditors. The court assigns a trustee to administer and supervise the liquidation of assets and determine all applicable liabilities. Many individuals file under Chapter 7, but it is also available to partnerships, sole proprietorships and corporations. However, unlike individuals, these business entities are not eligible to receive a discharge. 11 U.S.C. § 727(a)(1). Chapter 7 is a good option for businesses that want to cease operations and sell off assets. Most public and closely held companies choose to file bankruptcy under either Chapter 11 or 13. Under both, the business can continue its operations and does not have to sell off assets like in a Chapter 7 proceeding. The primary difference between Chapter 13 and Chapter 11 bankruptcies is the debt amount qualification. To qualify for Chapter 13 bankruptcy, the debtor must have either less than a specified dollar amount of secured debt (real estate, home, car) or unsecured debt (most credit cards). In addition, partnerships and corporations are not eligible for Chapter 13, but they can file under Chapter 11. A business that is holding a large amount of debt that cannot be easily or immediately paid off has the option of filing under Chapter 11. Chapter 11 allows for the reorganization of debts. Chapter 11 also allows a business to continue to operate while going through the reorganization. Corporations, partnerships and sole proprietorships are all eligible for Chapter 11 reorganization. 11 U.S.C. § 109. Under Chapter 11, the debtor will come up with a plan, which can be a liquidation plan or a repayment plan. Chapter 11 has special provisions for small business debtors, single-asset real estate cases, individual debtors and railroad reorganizations. In a Chapter 13 filing, the debtor develops a periodic repayment plan to pay off its creditors. This allows the debtor to repay the debt without having to liquidate a business or major assets. The repayment plan generally lasts for three years, but it can be extended to five with court permission. Chapter 12 is designed for individual or corporate farming operations with real estate debt. The farm will still operate and a periodic repayment plan will be created. Filing for bankruptcy can involve a number of delicate considerations including the future viability of the company and any profitability considerations. If there is little chance that the company will bounce back from bankruptcy, the option of a Chapter 7 filing should be considered. However, if the company is viable and there is a safe level of risk as to long-term profitability, then a restructuring of debt under Chapter 11 or 13 may be desirable. A Denver bankruptcy attorney at the Law Office of Jon B. Clarke can help you weigh your options for business bankruptcy and work through the bankruptcy process.